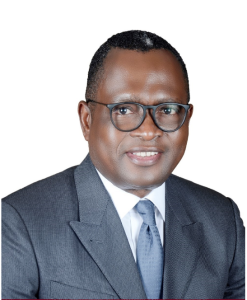 Mr. Paul Bissohong served as Managing Director of MRS Oil Nigeria Plc from December 5, 2012 to January 1, 2016 when he was called back to MRS Holdings to hold the position of Executive Director to oversee the operations of the Corlay companies (Cameroun, Togo and Benin). 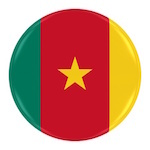 He started his career at the International Telecommunications of Cameroon Company – Intelcam in 1981 and has worked in many organizations, with varied training and professional experiences spanning a period of 37 years. He joined Texaco Cameroon in 1987 and was seconded to Texaco Nigeria Limited in 1998, where he held various positions of increasing responsibility within the organization (Texaco – ChevronTexaco-Chervron West-Africa) until 2008 when he was appointed Managing Director of Chevron Ivory Cost in Abidjan. Following the change in management in March 2009, Mr. Bissohong was seconded to MRS Group, to Head the Business development unit of MRS Holdings Limited. Mr. Bissohong is a Director on the Board of HAE (Hydro Alternative Energies) Miami, USA. Mr. Bissohong holds an engineering degree in Electro – Mechanics from the University of Yaoundé – Cameroon. He also holds a certificate as an Inspector of Telecommunication from the National Institute of Telecommunications, Evry-France and he is a Certified Lubrication Specialist (CLS) from the Society of Tribologysts and Lubrication Engineers (lllinos Chicago – USA). Our fuels meet the standards and specifications for Cameroun. A blend of quality, technology, and adherence to strict and stringent international standards. Premium Motor Spirit, also known as gasoline or petrol, is a transparent, petroleum-derived liquid that is used primarily as a fuel in powering the internal combustion engines of most vehicles, generators and machines. Our PMS comprises of organic compound together with variety of additives that enhance engine performance. It is of premium quality and it is compatible with all petrol vehicles. Ensures cleanliness of fuel systems by minimizing the buildup of harmful deposits. Provides better combustion and fuel economy. Reduces maintenance of fuel systems. Automotive Gas Oil, also known as diesel, is a light distillate fuel used to efficiently power internal combustion diesel engines. It is obtained from crude oil distillation and is used in automotive (both on and off road) and industrial applications. Delivers adequate lubricity, to help protect fuel pumps and injectors from wear. Household Kerosene is a liquid hydrocarbon similar in composition to diesel. It is widely used as a fuel, in industry, and in households for lamps, cooking stoves. MRS gas in Cameroun is Liquefied Petroleum Gas (LPG), which is composed of approx. 80% of butane and 20% of propane. It is marketed in filled cylinders or in bulk for local industries’ needs. LPG is either manufactured in the local refinery or imported, and stored at the joint-user SCDP depot (national fuel Storage Company). We sell it through retail service stations or independent dealers, and to commercial and industrial customers. We currently offer steel cylinders under five (05) types of packaging: 6 kg; 10 kg; 12.5 kg; 15 kg and 25 kg. Other available cylinders in the market are 18kg and 35kg. Some retailers do sell LPG accessories in the service stations they manage. Pressure relief valves: these valves are designed to relief pressure that might result from overfilling or exposure to excessive heat of fire. Hoses: LPG hoses that are meant to ease carrying of cylinders with as little leakage as possible. Safety Guide for Handling Gas Cylinder. Avoid transporting cylinders in the passenger compartment of your vehicle, whenever possible. If the cylinders are in the passenger’s compartment, open at least one window and turn the ventilation fan on high speed when transporting them. Store cylinders standing vertically and secure them: do not store cylinders at temperatures greater than 65°C. Full or empty compressed gas cylinders should be stored in a well ventilated area, preferably in open spaces, with some weather protection. When in use, cylinder valves used in the fully open position may become stuck in this open position. To prevent this, ensure that the hand wheel or cylinder valve key is turned back half a turn. ALWAYS close the supply cylinder valve when not in use. If cylinders are in a fire, the key actions to be taken are: evacuate the area (min. 100 m); call the fire brigade. We have numerous resellers and distributors nationwide. Click on our map to find a location nearest to you. Have experience in the management and/or distribution of household gas. Have at least one appropriate truck in good condition, with all safety devices and that has authorization for carrying hazardous products duly granted by the Ministry of Transports. MRS Lubricants are a blend of quality, technology, and adherence to strict and stringent international standards. Our Lubricant brands are: Premier and Stallion brands. Premier series of lubricants are formulated and blended for gasoline powered engines. These are premium grades of lubricants to deliver superior engine performance and peace of mind and are available in multi and mono grades. Stallion Series of lubricants are formulated and blended for diesel powered engines. The stallion reflects our strength and passion. MRS Stallion Diesel products are specifically developed for use in heavy duty truck diesel engines. In summary, our variety of lubricants are aimed at enhancing the performances of vehicles: and we are the only licensed marketer of Texaco lubricants in Cameroun. With two strong brands involved (TEXACO & MRS), with 06 warehouses, with a dedicated & professional team, we offer you the best of locally (SCEFL – DOUALA) or externally (VPS – HOLLAND & TEXACO – BELGIUM) produced lubricants. Some products can be used for mixed fleets to reduce the complexity of oil management and handling. We propose special products from TEXACO brands, like TEXTRAN TDH PREMIUM combined with the abovementioned engine oils. We offer several types of lubricants designed for heavy duty engines, amongst which MRS Stallion XTRA Premium 15W40, one of our best diesel engine oil. Our range of our products is one of the most diversified and appreciated in the local market. The combination of two strong brands (TEXACO & MRS) is the key to our success. SCEFL (local joint venture blending plant) is producing about 70% of the total volume of lubricants that we sell. We have developed amongst our staff a safety culture which ensures that all aspects of safety, health and environment (HSE) are integrated in our daily activities. To ensure that these standards are maintained and continuously improved, we organize regular trainings on HSE for all our staff and associated workers. We are committed to the quality, cleanliness and safety of all our products (lubricants, gas, fuels) and services (car refueling, lube oil change, car washing, air inflation, card system) supported by a team of very experienced, highly competent and motivated professionals in the industry. For the convenience of our clientele, we offer minimarts and shops in our service stations. These minimarts serve the dual purpose of catering to the needs of travelers by supplying snacks, while increasing the revenue our business partners who manage the service stations.